Summer Registration Begins March 25th!!! Woodside School is dedicated to providing quality, developmentally appropriate learning and care in a supportive environment for all children and their families. As we celebrate our 40th year of operation we also remain up to date on the latest research in child development and learning. Our curriculum is based on in-depth knowledge of how children grow and develop. Each classroom is designed to suit the needs, interests and developmental level of the children in that class. 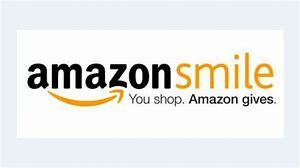 ​Please make sure when you shop on Amazon that you go to Smile.Amazon.com and choose "Woodside School Inc." as your charity. A percentage of your purchase will go directly to Woodside School and there is no added cost to you! The prices on AmazonSmile are the same prices as on Amazon! Thank you for sharing this with your family and friends!!! for the current, 2018-2019, School Year. See "Woodside Happenings" tab for more information.